As those on the FPRA’s listserv and others following local development politics know, Councilor Dennis Carlone introduced a zoning amendment that would change the process by which special permit decisions are made while the city is in the midst of a master planning process. If passed, the Carlone Amendment would make the City Council the exclusive special permit granting authority for “Project Review Special Permits” as described in Section 19.20 in the city’s Zoning Ordinance. The change would restore a power that the Council (our elected officials) has had all along, but had delegated to the Planning Board, volunteers appointed by the City Manager. Unlike a moratorium, which many residents have called for to pause large-scale development during the master planning process, this procedural change would not affect smaller proposals or any “by-right” development. 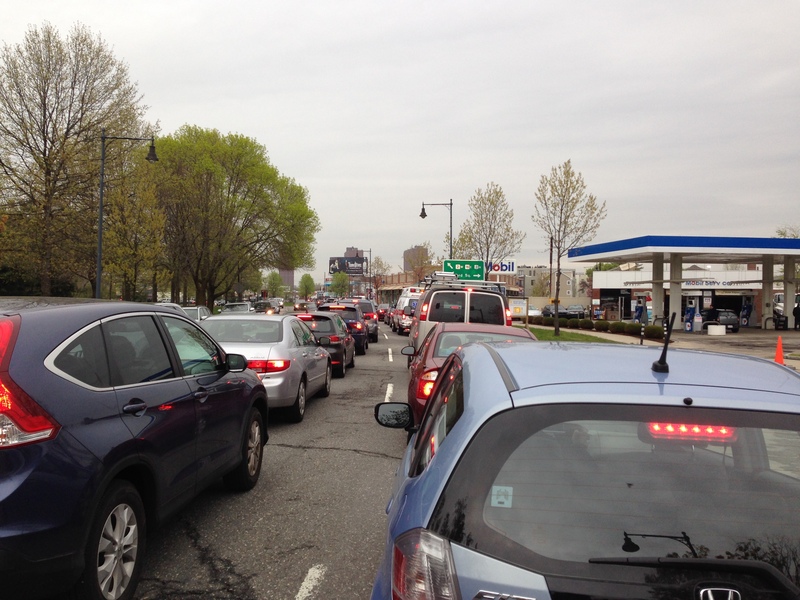 The Carlone Amendment represents a reasonable response to citizens’ concerns that the rapid pace and scale of development, especially around Alewife and Fresh Pond, undermines the citywide planning process, and that special permit decisions during this critical period should be made by the policymakers who are directly accountable to voters. As we move forward with a process to create a citywide Master Plan, this procedural change will enable the City Council to impose reasonable conditions on large, new development projects as part of the ongoing planning process. 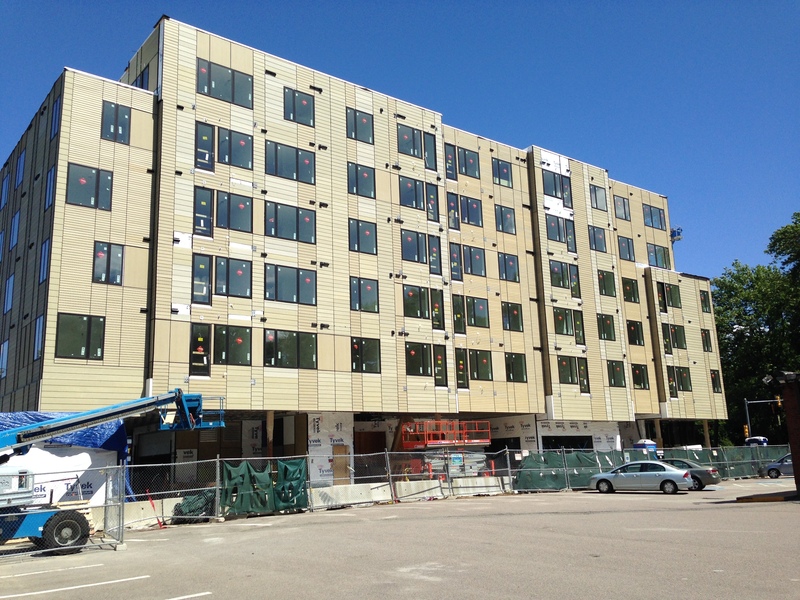 Under Massachusetts General Laws, Chapter 40A, Section 1A, the Cambridge City Council may act a “special permit granting authority” — but as stands, the council has delegated this oversight to the Planning Board, an unelected body. To be sure, the professionals who volunteer to serve on the Planning Board deserve our gratitude and respect – but when it comes to the big decisions, such as redevelopment of the Sullivan Courthouse, or large-scale development along the Alewife floodplain – we think elected policymakers ought to assume a more meaningful role in the process. Under Article 19 of the Cambridge Zoning Ordinance, Project Review enables the special permit granting authority to encourage the production of affordable and middle-income housing, mitigate against the impact of added traffic, promote the use of alternative modes of transit, apply strong Urban Design criteria, and more. Perhaps most importantly, City Council Project Review will create a better system of “checks and balances” — we will continue to draw on the expertise of the Planning Board and the Community Development Department. But with this change, the City Council will also have a say on projects that are likely to have a significant impact on abutting properties and the surrounding urban environment. Sign the petition in support of the Carlone Amendment. Residents may also wish to email City Councilors and to attend the June 30 meeting to express their views on this proposed change. The Council meeting will be held in Henrietta S. Attles Meeting Room at 459 Broadway (where the School Committee usually meets), not the Sullivan Chamber at City Hall. 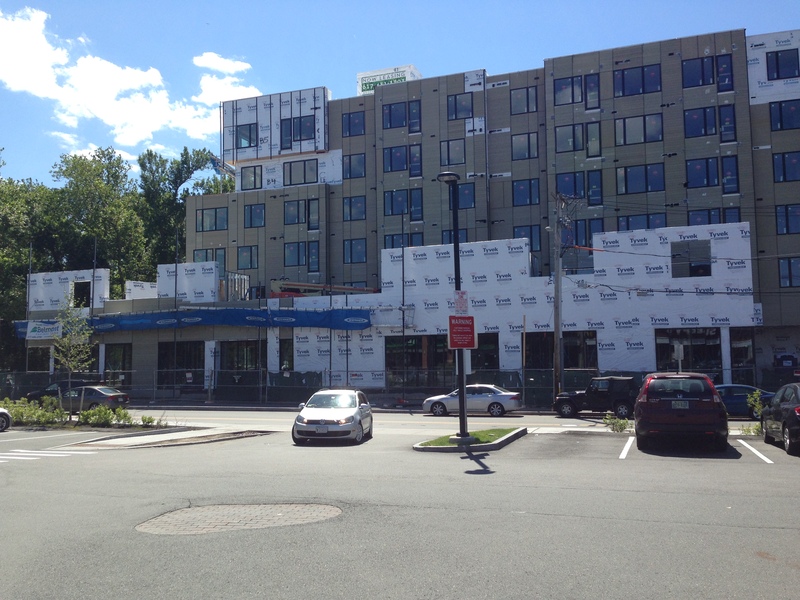 The meeting begins at 5:30 p.m.
View of Wheeler St project from the Trader Joe’s parking lot. 160 Cambridge Park Drive. This new, 100% residential building will offer 398 units (all 1 & 2 bedrooms). 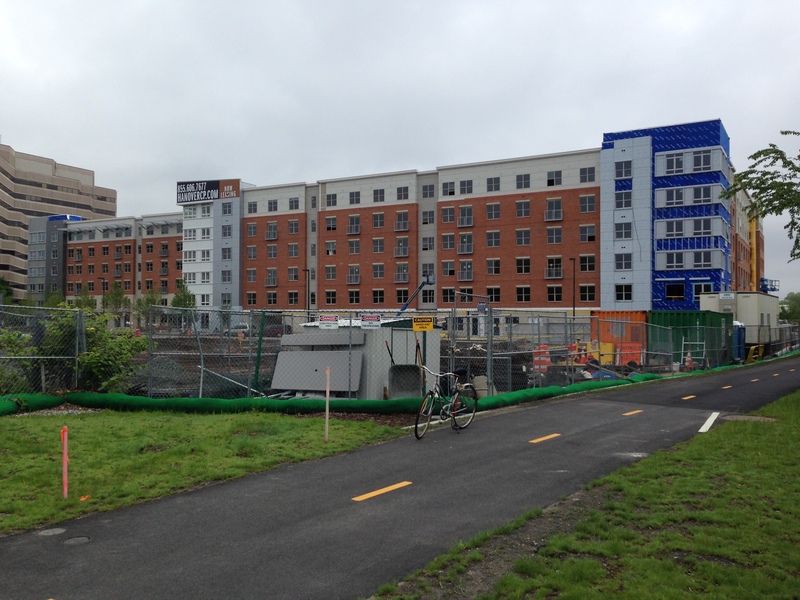 In the foreground, another already permitted building (165 Cambridge Park Drive) will offer an additional 244 units. 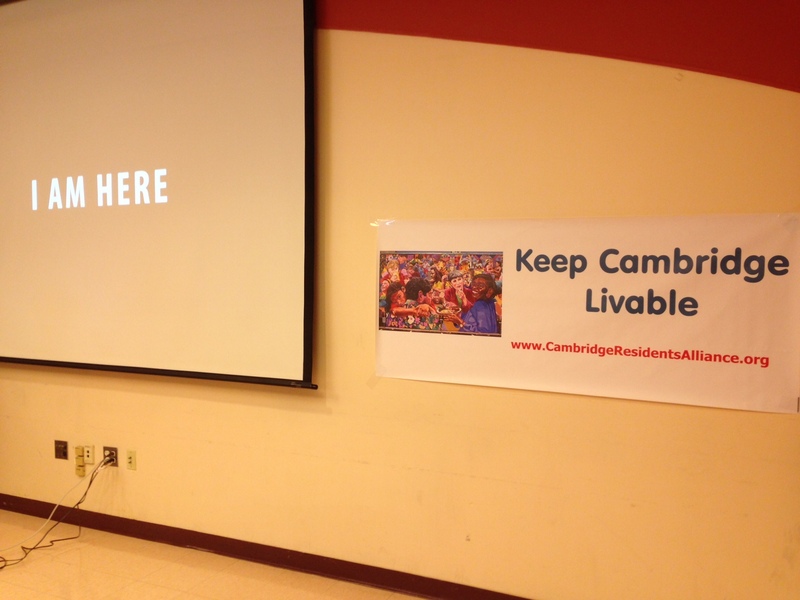 “Keep Cambridge Livable” was the summit’s theme.